A fun event for all ages and abilities. Dress up as your favourite Christmas character - prizes for the best-dressed as well as the fastest runners in both the 1km and 5km events. This fun event has something for all ages and abilities. The 1km Fun Run is open to all and will be followed by our chip-timed 5km Santa Dash. There will be a selection of festive goodies on offer plus a special festive medal for all finishers. 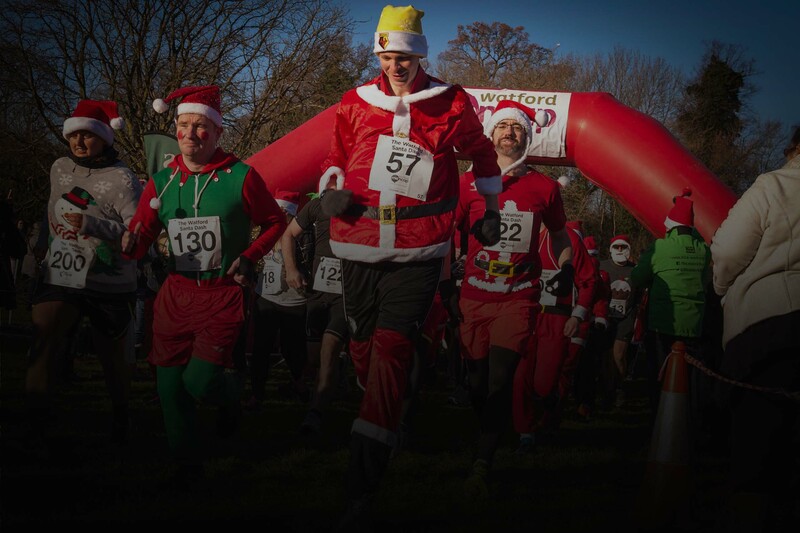 Dress up as your favourite Christmas character and help make this a cracker of an event – prizes will be awarded to the best dressed runners in each race as well as the fastest finishers. There will be prizes for the best dressed entries in each race, and a festive medal for all who finish. Please Download the Sponsorship Form or Create an Online Giving Page (Watford Mencap recommends using BT My Donate for your online giving page because it means that our charity receives the maximum amount of any donations made).